plus a service at 8.30 am on the 2nd Sunday of each month. At the end of each communion service we have a retiring collection for a charity. There are occasional “All Age” services, some of which are Parade Services, attended by members of the church’s uniformed organizations. There are also occasional services in the style of the Taizé or Iona communities. MethSoc members have their weekly Sunday evening meeting after 6.00 pm services. 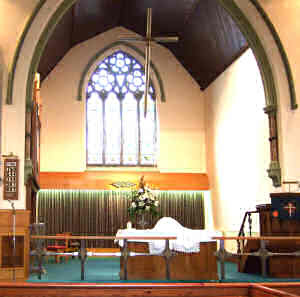 Baptisms take place from time to time during Sunday morning services, by arrangement with the Minister. If you would like to know more, please contact the Minister by phone (0191 340 9701) or email. Also contact the minister for weddings and funerals.